He firmly believed that everything he did was right, that he ought on all occasions to have his own way — and like the sting of a wasp or serpent his hatred rushed out armed and poisonous against anything like opposition. He was proud of his hatred as of everything else. Always to be right, always to trample forward, and never to doubt, are not these the great qualities with which dullness takes lead in the world? 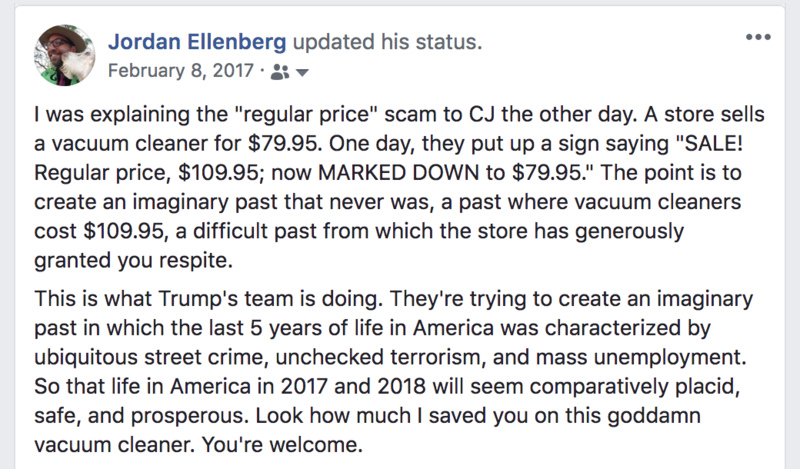 I wrote this on Facebook about a year and a half ago. Thought of it today when I saw this tweet from Donald Trump Jr. I was in Philadelphia a couple of weeks ago with AB and we went to the brand-new Museum of the American Revolution. 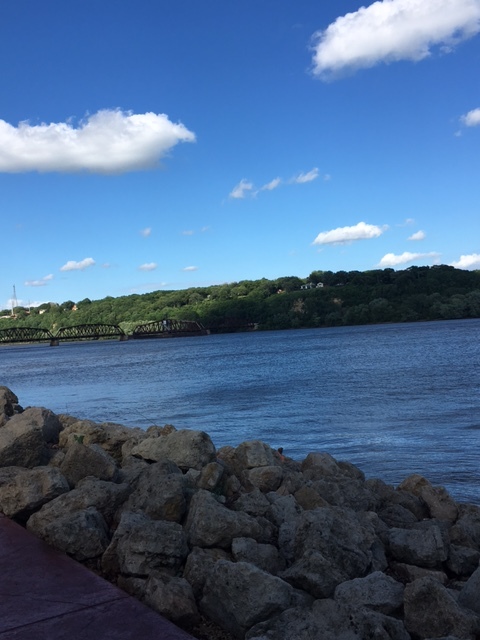 It’s a great work of public history. Every American, and everybody else who cares about America, should see it. The museum scrapes away the layer of inevitability and myth around our founding. Its Revolution is something that might easily not have succeeded. 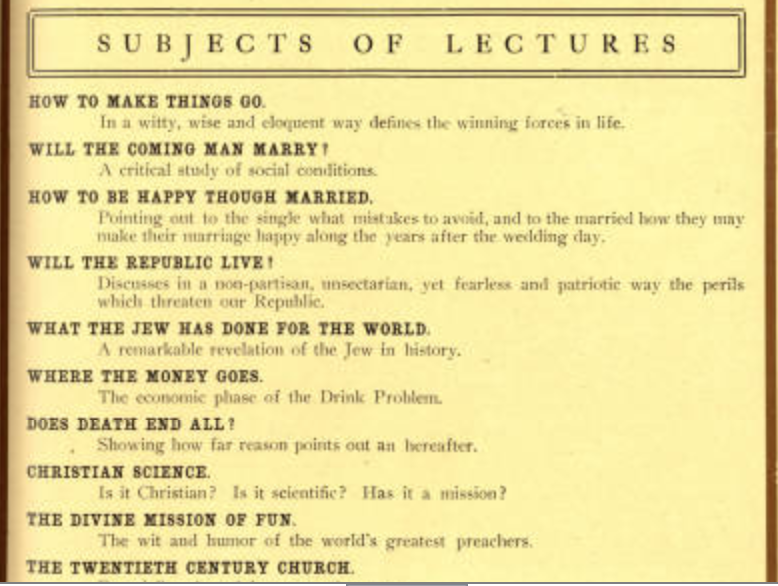 Or that might have succeeded but with different aims. There were deep contemporary disagreements about what kind of nation we should be. The museum puts you face to face with them. E Pluribus Unum was an aspiration, not a fact. There was a lot of pluribus. The gentility in Massachusetts and the Oneida and frontierspeople in Maryland and the French and the enslaved Africans and their American slavemasters were different people with different interests and each had their own revolution in mind. Somehow it came together. George Washington gets his due. The museum presents him as a real person, not just a face on the money. A person who knew that the decisions he made, in a hurry and under duress, would reverberate through the lifespan of the new country. We were lucky to have him. And yes, I choked up, seeing his tent, fragile and beaten-up and confined to a climate-controlled chamber, but somehow still here and standing. The Haggadah tells us that every generation of Jews has to read the story of Exodus as if we, ourselves, personally, were among those brought out from Egypt. The museum reminded me of that commandment. It demands that we find the General Washington in ourselves. In each generation we have to tell the story of the American Revolution as if we, ourselves, personally, are fighting for our freedom, and are responsible for what America will be. Because we are! We are still in the course of human events. The American Revolution isn’t over. It won’t ever be over. It’s right that we call it a “revolution” and not an “overthrow” or a “liberation.” We’re still revolving, still turning this place over, we’re still plural, we’re still arguing. We still have the chance, and so we still have the obligation, to make the lives of our children more free than our own. Not even the most poorly paid shipping clerk would dream of trying to make his own shirts, and confidential investigation would probably reveal that mighty few darn their own socks. Yet the cities are full of women on march larger salaries who not only make their own clothes, but cook their own meals and do their own laundry. So in 1927, it was more unusual to cook for yourself than it was to make your own clothes? When did that flip? We see what a heavy toll disorders of the mind exact from human happiness when we realize that of all the beds in all the hospitals throughout the United States one in every two is for mental disease; in other words, there are as many beds for mental ailments as for all other ailments put together. That’s startling to me! Can it really have been so? What’s the proportion now? The Maryland flag is, in my opinion as a Marylander, the greatest state flag. Ungepotch? Yes. But it has that ineffable “it shouldn’t work but it does” that marks really great art. 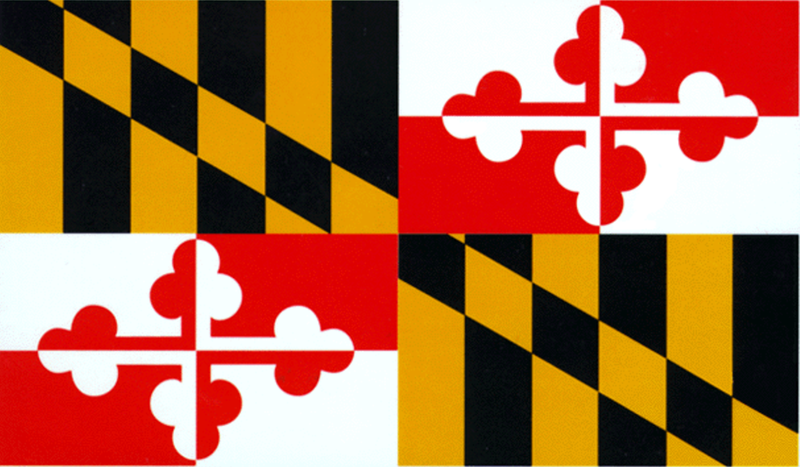 Despite the antiquity of its design, the Maryland flag is of post-Civil War origin. Throughout the colonial period, only the yellow-and-black Calvert family colors are mentioned in descriptions of the Maryland flag. After independence, the use of the Calvert family colors was discontinued. Various banners were used to represent the state, although none was adopted officially as a state flag. By the Civil War, the most common Maryland flag design probably consisted of the great seal of the state on a blue background. These blue banners were flown at least until the late 1890s…. Reintroduction of the Calvert coat of arms on the great seal of the state [in 1854] was followed by a reappearance at public events of banners in the yellow-and-black Calvert family colors. Called the “Maryland colors” or “Baltimore colors,” these yellow-and-black banners lacked official sanction of the General Assembly, but appear to have quickly become popular with the public as a unique and readily identifiable symbol of Maryland and its long history. The red-and-white Crossland arms gained popularity in quite a different way. 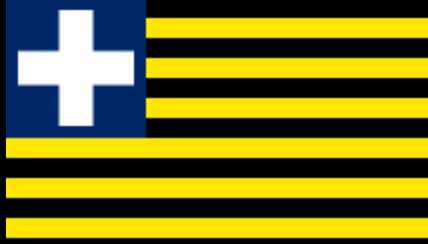 Probably because the yellow-and-black “Maryland colors” were popularly identified with a state which, reluctantly or not, remained in the Union, Marylanders who sympathized with the South adopted the red-and-white of the Crossland arms as their colors. Following Lincoln’s election in 1861, red and white “secession colors” appeared on everything from yarn stockings and cravats to children’s clothing. People displaying these red-and-white symbols of resistance to the Union and to Lincoln’s policies were vigorously prosecuted by Federal authorities. During the war, Maryland-born Confederate soldiers used both the red-and-white colors and the cross bottony design from the Crossland quadrants of the Calvert coat of arms as a unique way of identifying their place of birth. Pins in the cross bottony shape were worn on uniforms, and the headquarters flag of the Maryland-born Confederate general Bradley T. Johnson was a red cross bottony on a white field. By the end of the Civil War, therefore, both the yellow-and-black Calvert arms and the red-and-white colors and bottony cross design of the Crossland arms were clearly identified with Maryland, although they represented opposing sides in the conflict. but not about the symbolic meaning of the flag’s adoption, as an explicit gesture of reconciliation between Confederate sympathizers and Union loyalists sharing power in a post-war border state. The Howard County flag is based on the Crossland arms. 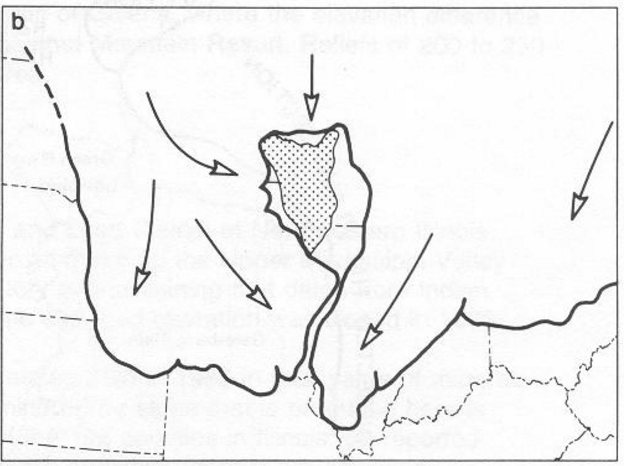 (There’s also a sheaf of wheat and a silhouette of Howard County nosing its way through a golden triangle.) The city of Baltimore, on the other hand, uses the Calvert yellow-and-black only. That’s the flag of the Republic of Maryland, an independent country in West Africa settled mostly by free black Marylanders. It existed only from 1854 to 1857, when it was absorbed into Liberia, of which it’s still a part, called Maryland County. 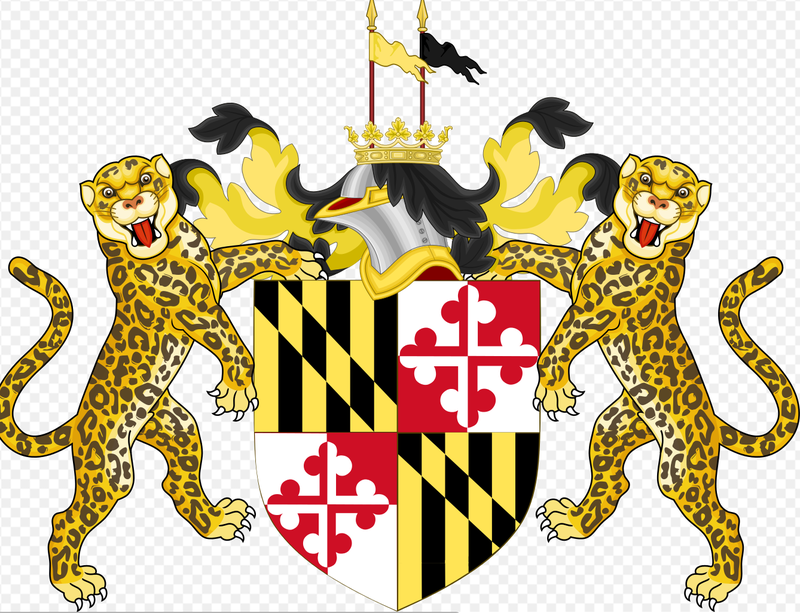 The county flag still has Lord Baltimore’s yellow, but not the black. I got a message last week from the husband of my first cousin once removed; his father-in-law, Leonard Ellenberg, was my grandfather Julius Ellenberg’s brother. I never knew my grandfather; he died before I was born, and I was named for him. The message contained a huge amount of information about a side of my family I’ve never known well. I’m still going through it all. But I wanted to share some of it while it was on my mind. Here’s the manifest for the voyage of the S.S. Polonia, which left Danzig on September 17, 1923 and arrived in New York on October 1. Owadje Ellenberg (always known as Owadia in my family) was my great-grandfather. He came to New York with his wife Sura-Fejga (known to us as Sara), Markus (Max), Etia-Race (Ethel), Leon (Leonard), Samuel and Bernard. Sara was seven months pregnant with my uncle Morris Ellenberg, the youngest child. His signature is almost as bad as mine! 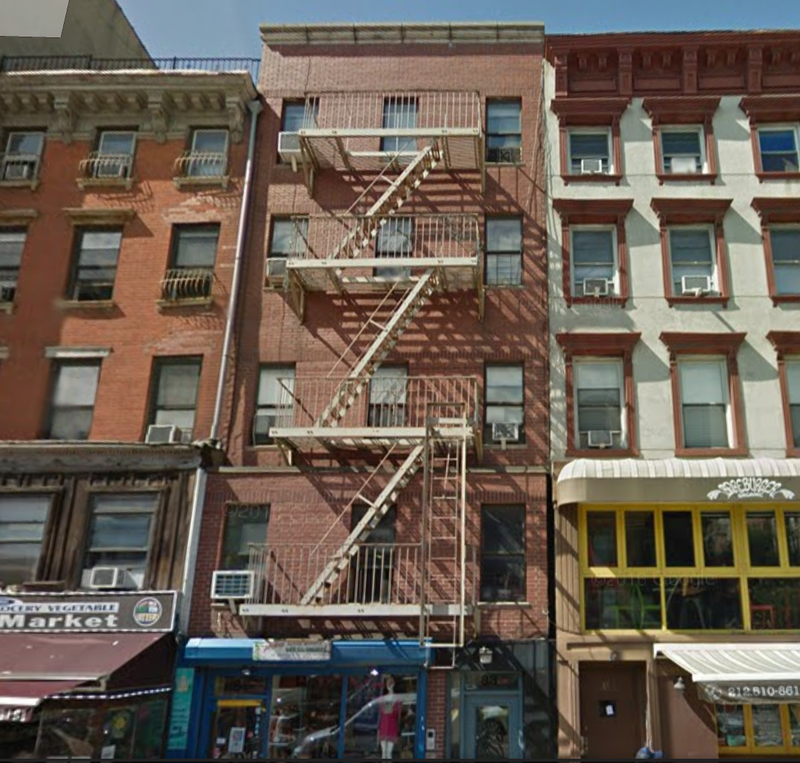 By 1934 he’s living in Borough Park, Brooklyn, a plasterer. 5 foot 7 and 160lb; I think every subsequent Ellenberg man has been that size by the age of 15. Shtetl nutrition. There are two separate questions on this form, “color” and “race”: for color he puts white, for race he puts “Hebrew.” What did other Europeans put for race? He puts his hometown as Sopoff, which I think must be the modern Sopiv; my great-grandmother Sara was from Obertyn, quite close by. 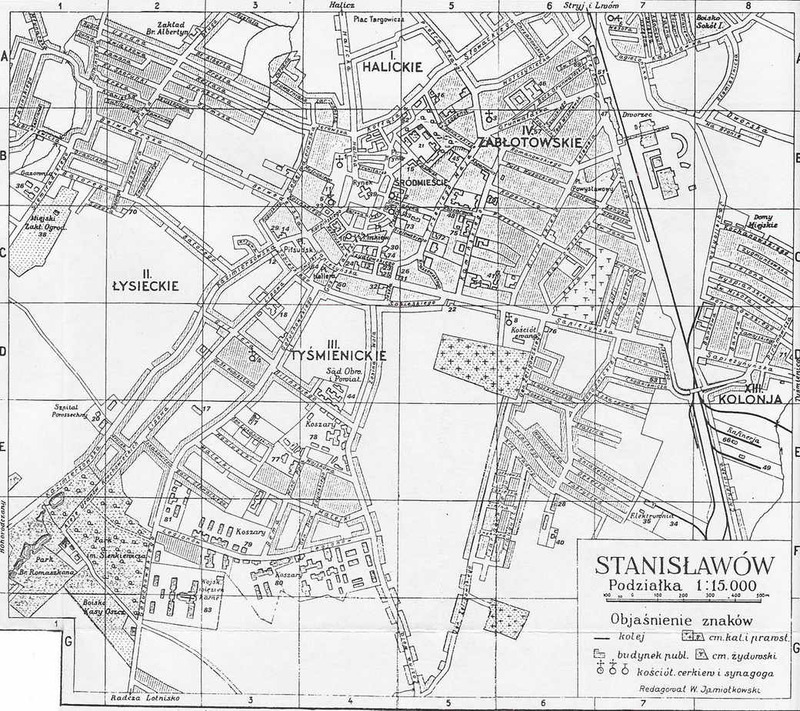 I guess they moved to the big city, Stanislowow, about 40 miles away, when they were pretty young; they got married there in 1902, when they were 21. 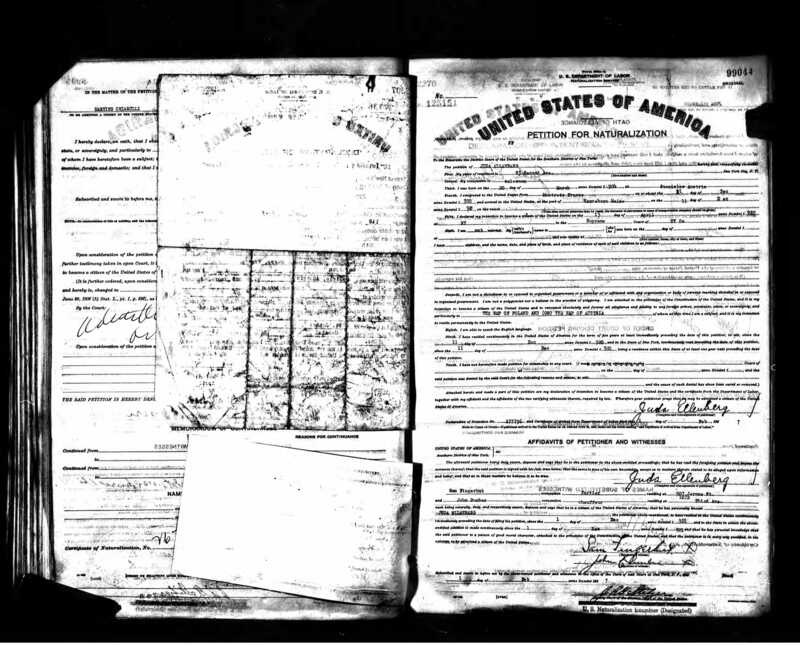 The form says he previously filed a declaration of intention in 1926. What happened? Did he just not follow through, or was his naturalization rejected? Did he ever become a citizen? I don’t know. have him as “Juda Ellenberg” (Juda being the Anglicization of Yehuda, his and my Hebrew name.) So didn’t that have to be his legal name? But how could that not be on his passport? Update: Cousin Phyllis came through for me! 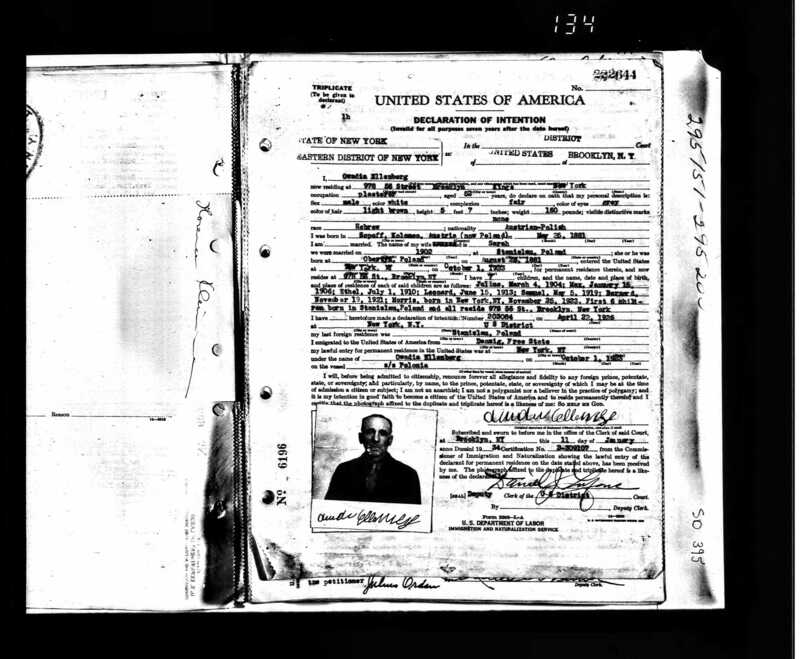 My grandfather legally changed his name to Julius on June 13, 1927, four months after he filed for naturalization. 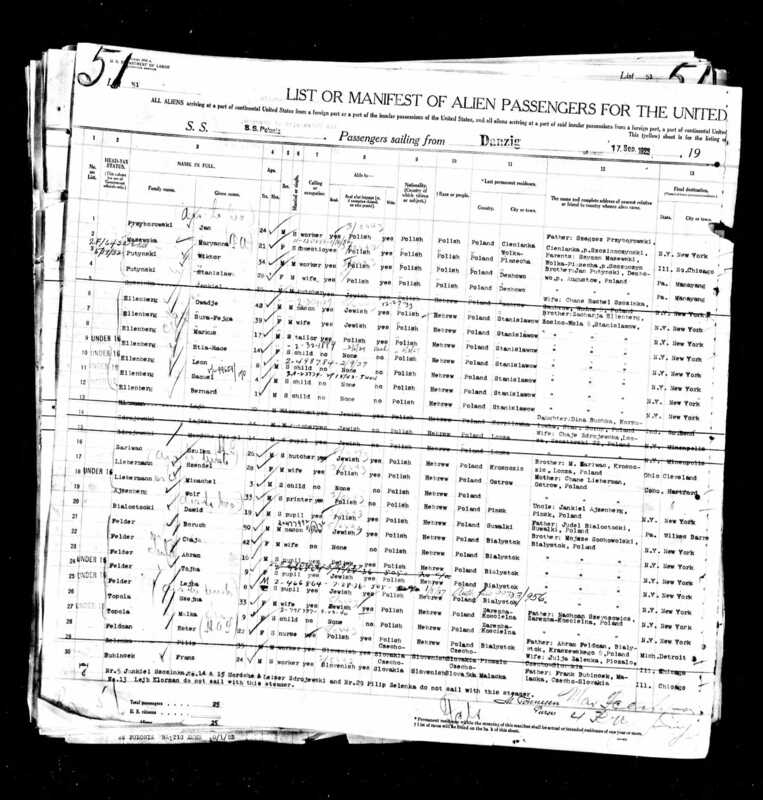 My grandfather was the first to come to America, in December 1920, and he came alone. He was 16. He managed to make enough money to bring the whole rest of the family in late 1923, which was a good thing because in May 1924 Calvin Coolidge signed the Johnson-Reed Act which clamped down on immigration by people thought to be debasing the American racial stock: among these were Italians, Chinese, Czechs, Spaniards, and Jews, definitely Jews. Not a lot of new immigrants able to afford rent there these days, I’m betting. 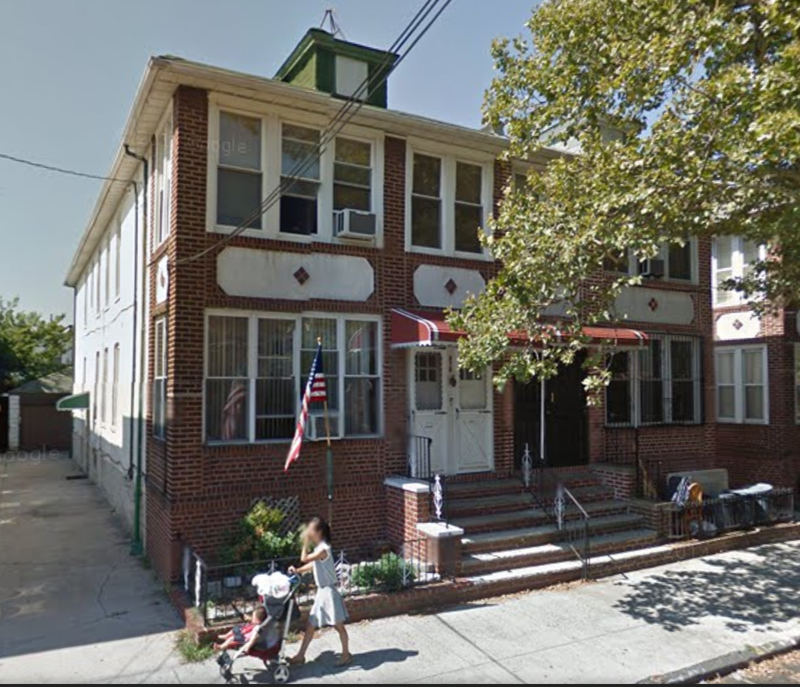 Later he’d move to Long Beach, Long Island, where my father and his sisters grew up. My first-cousin-once-removed-in-law went farther back, too, all the way back to Mojżesz Ellenberg, who was born sometime in the middle of the 18th century. The Hapsburg Empire required Jews to adopt surnames only in 1787; so Mojżesz could very well have been the first Ellenberg. You may be thinking he’s Owadia’s father’s father’s father, but no — Ellenberg was Owadia’s mother’s name. I was puzzled by this but actually it was common. 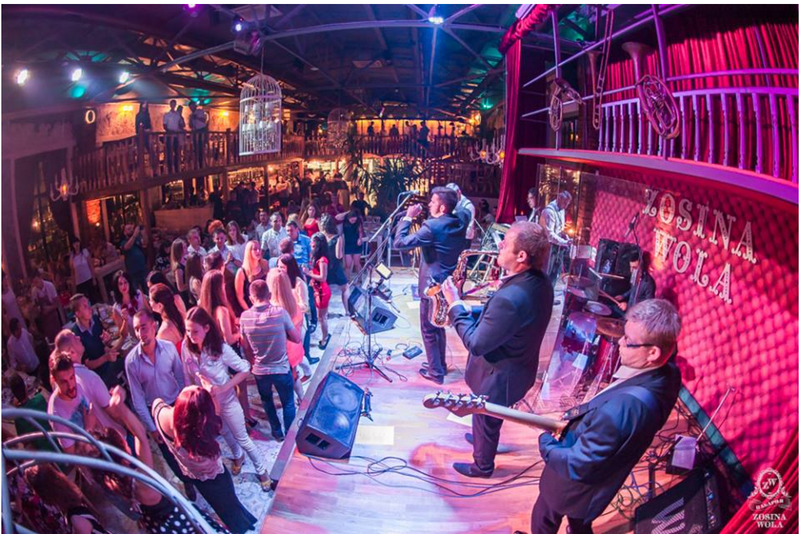 What it meant is that Mordko Kasirer, Owadia’s father, didn’t want to pay the fee for a civil marriage — why should he, when he was already married to Rivka Ellenberg in the synagogue? But if you weren’t legally married, your children weren’t allowed to take their father’s surname. So be it. Mordko wasn’t gonna get ripped off by the system. Definitely my relative. 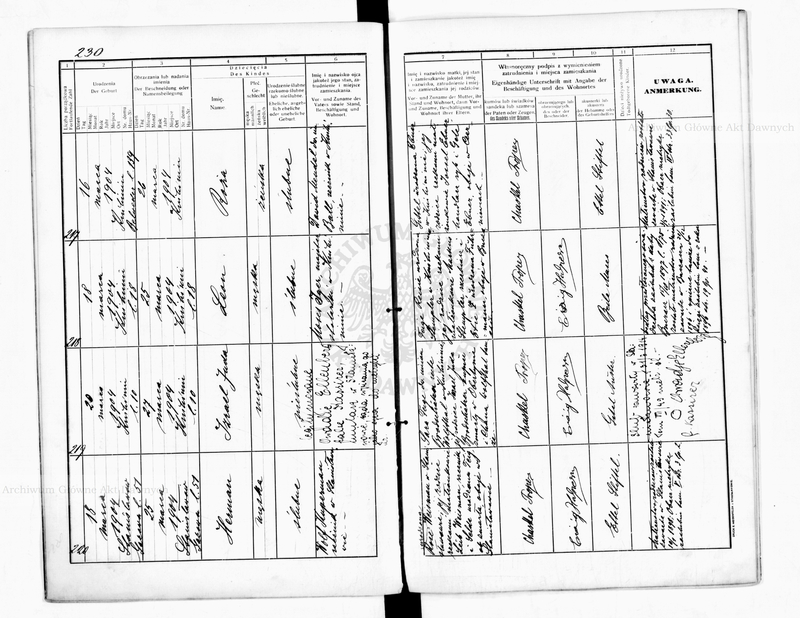 Update: Cousin Phyllis Rosner sends me my grandfather’s birth record. At birth in Poland he’s Izrael Juda Ellenberg. This still doesn’t answer what his legal name in the US was, but it explains the passport! I was always skeptical of the U.S. Holocaust Memorial Museum. I understand why there’s a Holocaust museum in Israel, and I understand why there’s one in Berlin, and I understand why there are memorials in the places where the slaughter was carried out. But why in Washington D.C.? Then I went there, I got it. The reason there’s a Holocaust Museum in America is because it’s a Holocaust Museum that’s about America. The museum tells the story, as all Holocaust museums must, of the German slaughter of the Jews, and of gay people, disabled people, Roma and Slavs besides. But the focus is on what happened here in America, and what didn’t happen. The point of the museum is to ask a simple question: what is the responsibility of a rich, safe, comfortable country to the human beings being hunted down and killed outside its borders? OK, I’ll admit it, that’s not a simple question. But it’s a question worth thinking about today.